Becoming the victim of an online crime can be just one click away, but so is the simple advice which can help protect you. That’s the message from Warwickshire Police during Get Safe Online Day, which is being marked across the country today (Tuesday October 18), and as part of the force’s ongoing #Be Cyber Smart campaign people are being urged to make the clicks which count. It comes as figures from Get Safe Online and the National Fraud Intelligence Bureau (NFIB) reveal that £10,960,1171 was lost in the county as a result of fraud, including cybercrime, in 2015/16. Nationally, this figure rose to £10.9 billion over the same period which equates to approximately £210 per person over the age of 16 living in the UK2, but represents only reported fraud and cybercrime to Action Fraud. 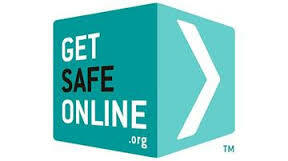 However, a specially commissioned survey to mark Get Safe Online Day3, reveals that the UK figure is likely to be much greater, with respondents who had been a victim of online crime alone losing an average of £523 each – this being more than the average weekly earnings figure for the UK4 which currently stands at £505. In addition, 39 per cent of people who said they’d been victims of online crime said they hadn’t reported the incident – meaning the overall amount of money lost by the UK could be even more. “Cyber crime is undoubtedly on the rise, but the good news is that knowledge really is power when it comes to both individuals and businesses protecting themselves. Warwickshire Police is committed to tackling cyber crime, in liaison with our partner agencies. We also place a great emphasis on raising awareness of the ways in which people can protect themselves, by holding and attending community events, for example, as well as through our #Be Cyber Smart campaign. Research has shown that many losses are preventable by following some simple advice and this year, to mark Get Safe Online Day, we are urging everyone to take just a few minutes out of their day to make the clicks that count. Making the wrong click can result in problems for internet users. For example, fraudulent emails, otherwise known as phishing emails, which appear to come from someone you know can prompt you to click on a link to a website which installs a virus on your computer. This can result in your private information being stolen by criminals or your computer being infected by ransomware – a type of malware which enables criminals to remotely lock a computer, informing the owner that it will not be unlocked until a sum of money is paid. The Police and Crime Commissioners for Warwickshire, West Mercia and the West Midlands have joined together with Warwickshire County Council and key strategic partners today to launch a cybercrime survey to assess the impact that online crime is having around the region. The West Midlands and West Mercia Police and Crime Commissioners have now joined the survey that originated in Warwickshire last year. The cybercrime survey – which can be found here https://www.surveymonkey.co.uk/r/RegionalCyber16 – is being run jointly by the three Police and Crime Commissioners and the County Council. Be careful of links and attachments in e-mails. – Beware of phishing – could that email be from a fraudster trying to get hold of your personal details? Use strong, different passwords for online accounts. – Use a mix of UPPER and lower case, numb3r5 and punctuat!on. – Have a different password for each of your accounts. – Can’t remember all the different passwords? Download a Password Manager which creates and remembers unique passwords for you. Check your data is secure on a website. – Always look for ‘https’ and a padlock in the address bar when entering personal details online. – the s stands for secure. If you are ever unsure about something online, do your research. – keep up to date with the latest scams and Cyber Crime news via Safe In Warwickshire. Install and update anti-virus software. – this reduces your risk of a virus based attack. Make sure any computer software is updated. – Update as soon as you are prompted – not doing so could leave your device vulnerable. Keep all your devices safe. – It is not just computers – phones, tablets and laptops all need this protection too. Limit your use of public Wi-Fi for work. – Anyone could see what you are typing when on open public Wi-Fi. – Virtual Private Networks (VPNs) offer secure Wi-Fi access. Update your social media privacy settings. – Make sure only your real friends see what you post; and don’t advertise your upcoming holiday on social media. Report it if it does happen to you. – Contact Action Fraud for any scams or fraud via their website or on 0300 123 2040. You should also report any Cyber Crime to the Police. – Also seek emotional support from services such as Victim Support.